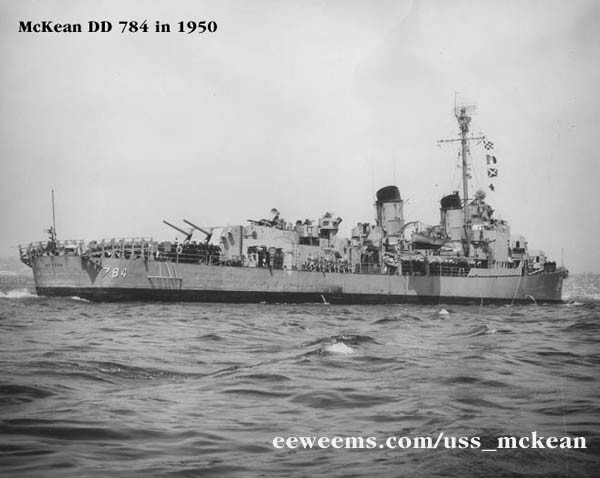 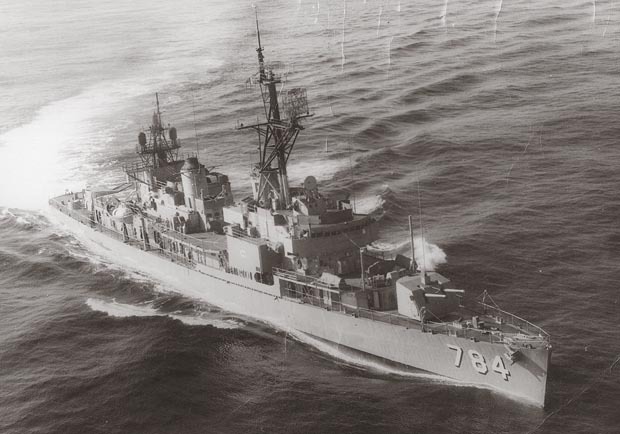 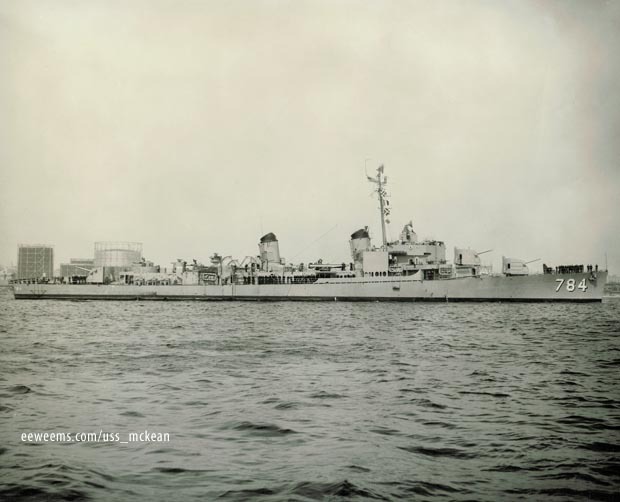 USS McKEAN aka "Rancher" "The Mighty Mac"
USS McKEAN (DD-784) was a United States destroyer of the Gearing Class. 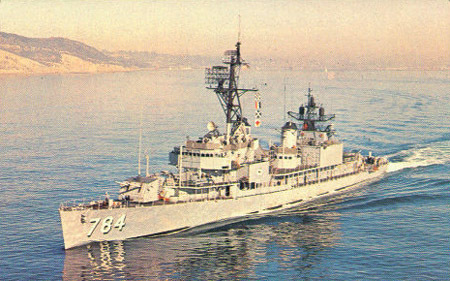 She was built by the Todd Pacific Shipbuilding Company of Seattle, Washington and was first commissioned on June 9, 1945. 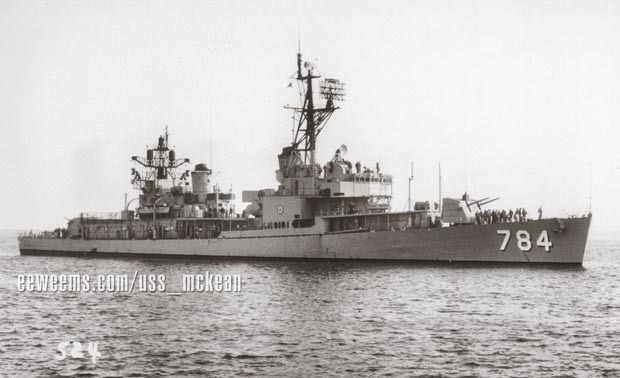 USS McKEAN is named after Commodore William Wister McKEAN, a union squadron commander of the American Civil War. 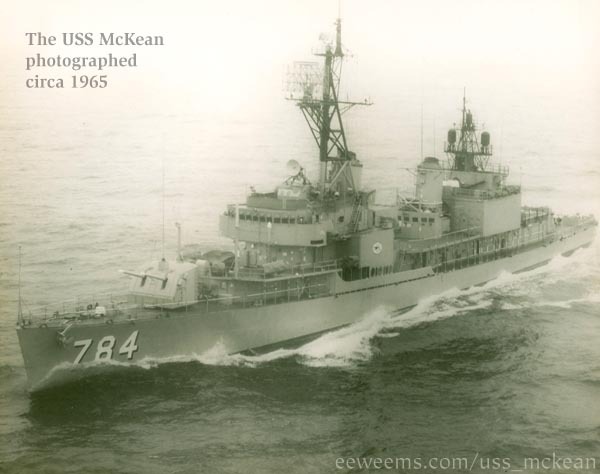 The McKean is the second ship of the American fleet to bear this name. 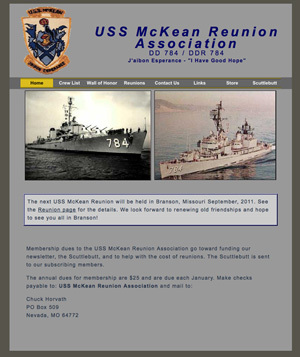 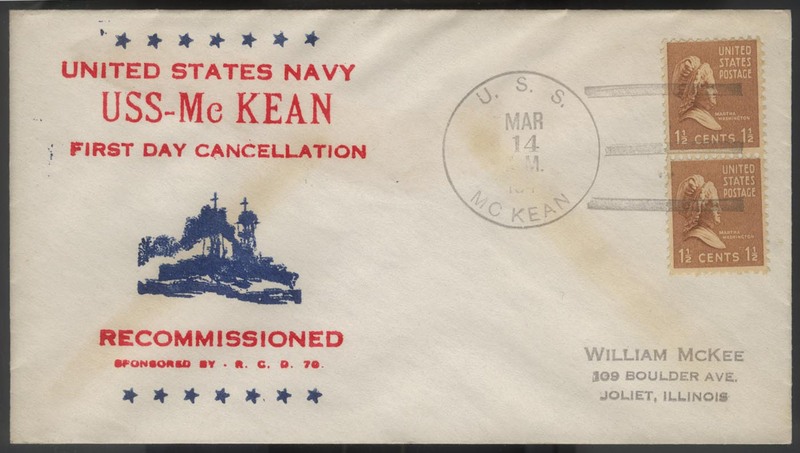 There is a USS McKEAN REUNION web site. 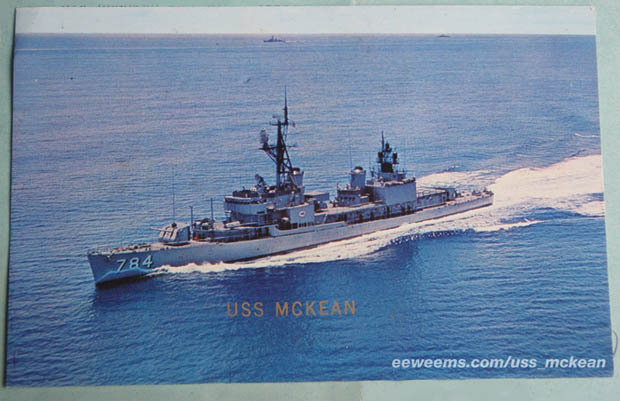 See the four page "Welcome Aboard"
handout used on the USS McKean during 1981. 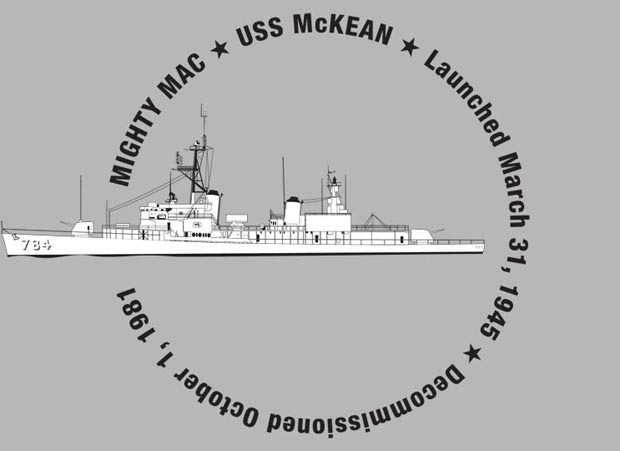 Click to enlarge to 1200 pixels. 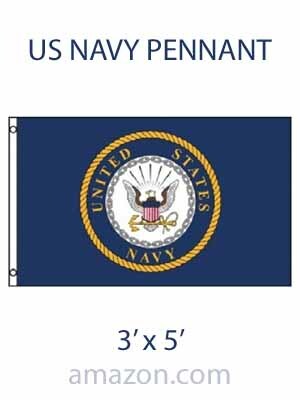 "....Both are low altitude aerials, one from port bow and the other from the port quarter. 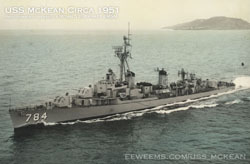 I have no clue as to the history of the photos but from what I saw on your website, they were taken between 50 and 65. 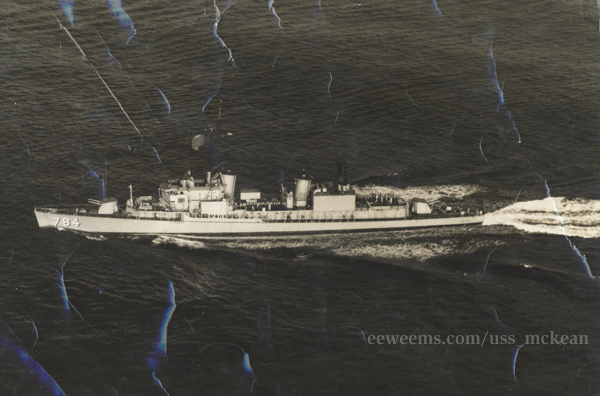 The #2 forward 5 inch mount is still there and there appears to be some sort of antenna array forward of the aft 5 inch mount. There is no ASROC." 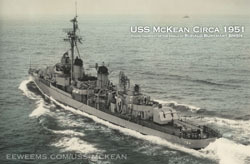 Click on the outline drawing to see enlarged drawing of USS McKean at 1000 pixels wide.